You may be pleasantly surprised to learn that some of the best watering holes in town are in North Austin. Tucked away in strip malls and surrounded by business parks, these gems north of 183 are easy to overlook. I’ve compiled my list of favorites for those who call North Austin home, and those who are unfamiliar with the area. So take a look at this guide to North Austin bars to see why up north is the place to be. beer (bottles and cans only), pool tables, TVs and plenty of outdoor seating under a large grapevine. Bring cash (cards not accepted) and enjoy a bucket of beer outside. Or snag a seat at the bar where you’ll find an ice-filled trough to keep your beer cold! Mister Tramps is a lot of things to a lot of people. It’s a karaoke bar where Austin Opera members let loose, an English Premier League soccer bar, a Cowboys and Eagles bar (yes, you read that correctly) and a space where Austinites record and livestream their podcasts. Here you’ll find cocktail specials, a wide selection of local and craft taps and a pretty extensive menu if you’re hungry. Check out Mister Tramps and find out what it means to you. Editor’s Note: BB Rover’s closed in December 2018, after 31 years in business. 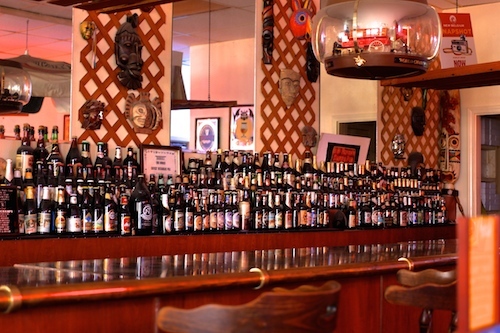 This neighborhood beer bar and restaurant has been in Austin for over 27 years. BB Rover’s beer menu is impressive and includes a mix of local, craft and popular taps, including several limited release beers. The interior is warm, a little quirky, but overall very welcoming. If you’re up for the challenge, ask about the 101 Club. 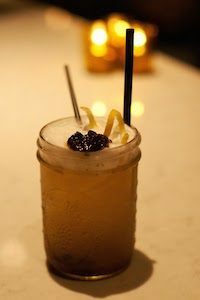 If craft cocktails are what you seek, you should head over to Somersault. Located next to The Park at the Domain, Somersault serves modern interpretations of traditional cocktails in a small, speakeasy style bar. One element that makes Somersault unique is their selection of seasonal jello shots. With shots such as Blood Moon (Red Bull with pop rocks) or Hibiscus and Blueberry Lemonade, Somersault is a spot that will keep you entertained. 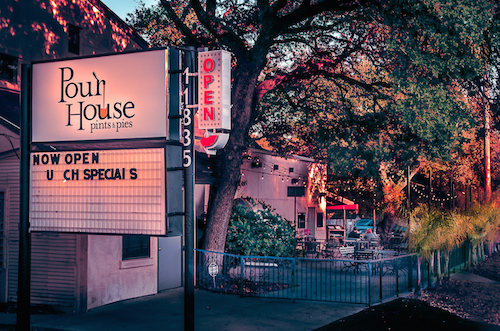 Pour House Pints & Pies comes from the family of bars that includes Violet Crown Social Club and the temporarily closed Pour House Pub. They serve cocktail specials and wine on tap, none of their draft beers are over $4 and they make some delicious pizzas (“The Dude” is a solid bet). With outdoor seating and several large TVs inside, you can have a fun night out without having to drive all the way downtown. 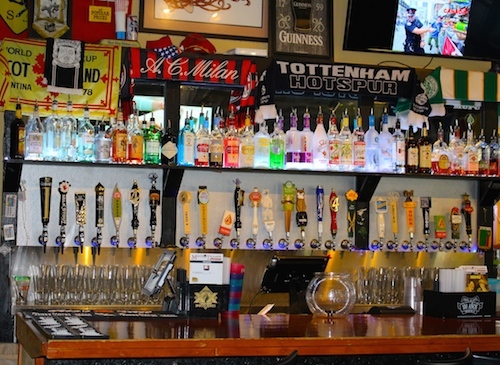 Pour House Pints & Pies is located at 11835 Jollyville Rd. NXNW in North Austin keeps it simple with a small selection of great beers (brewed on the premises) and a solid happy hour. The bar area is comfy and surprisingly roomy, but the patio or beer garden is where it’s at. If beer isn’t your thing, NXNW also serves wine, frozen margaritas and cocktails. 6th Street, Rainey and Manor Road may have some great drinking spots, but don’t count North Austin out. 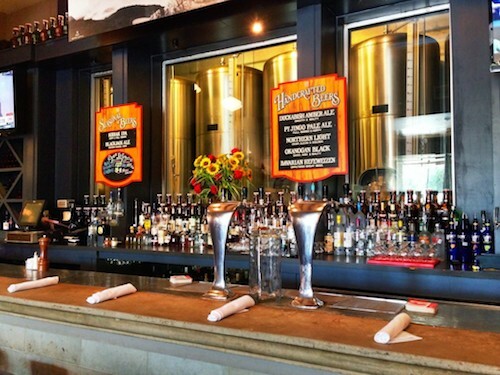 The establishments on this list all have something different to offer for your imbibing needs. After all, North Austin isn’t just an area full of apartments, tech companies, business parks and chain restaurants. So consult this guide to North Austin bars in preparation for the upcoming weekend and head up north on your next night out. 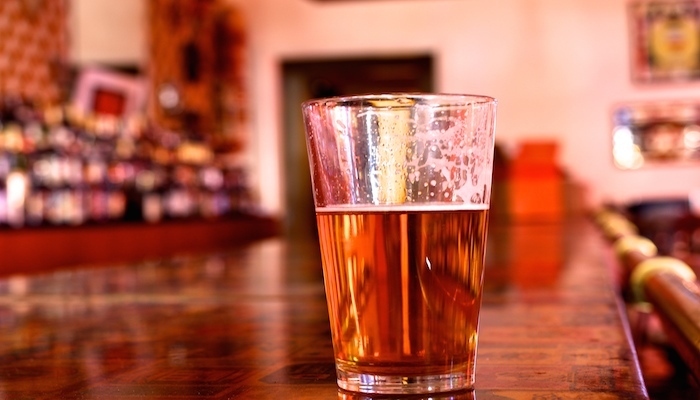 What’s your go-to North Austin bar?